All three parties will now be reviewing options about how the Council can be run. 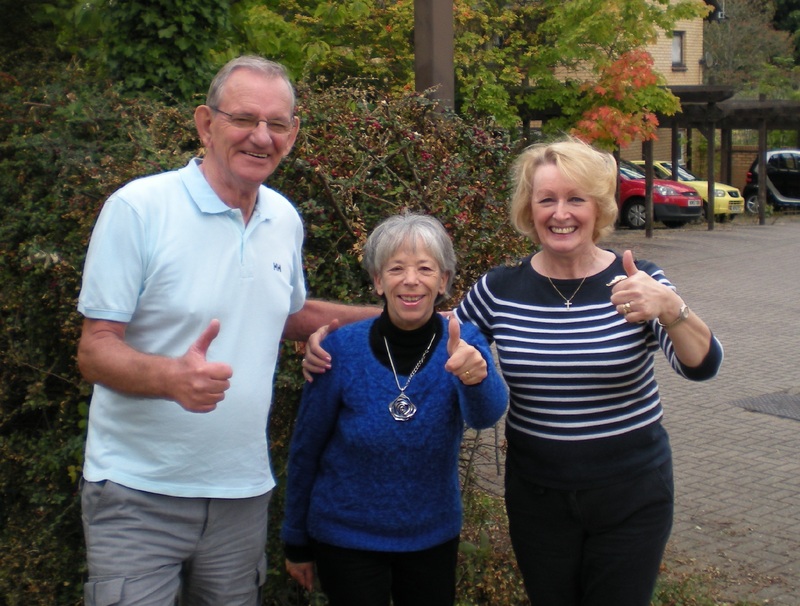 Anthony Stansfield, the Conservative candidate, was elected as Police and Crime Commissioner for the Thames Valley authority. With the darker evenings, your Lib Dem Focus team has been trying to get some lighting problems sorted out asap. Some lights don’t work, some flash, some are wasting electricity by being on all day! Cllr Vanessa McPake (left with local residents) got the street light sorted out in Goldilocks, Walnut Tree. 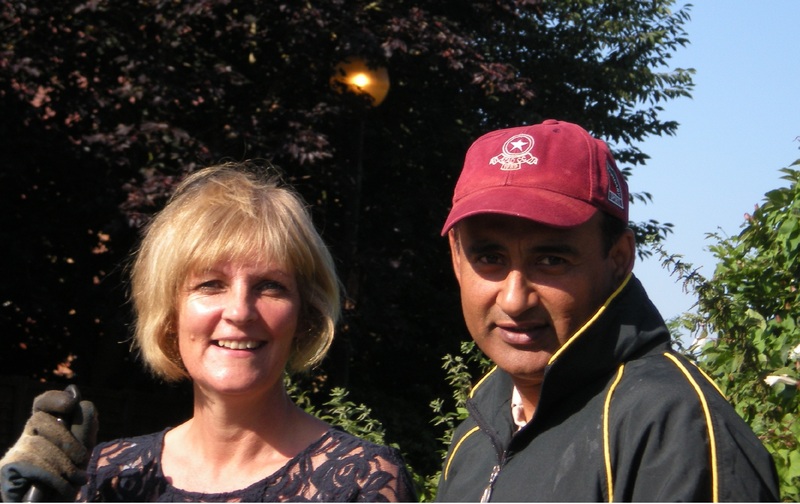 Cllr Subhan Shafiq (right with resident) is still working with MK Council on the street light in Walton Road, Walnut Tree, which had been day burning for some months. If you spot a street light that is not working properly then tell your Lib Dem councillors. Snail Trail Lit – Partly! 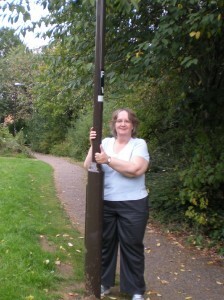 Cllr Jenni Ferrans has had some new lights installed along the Snail Trail in Walnut Tree. 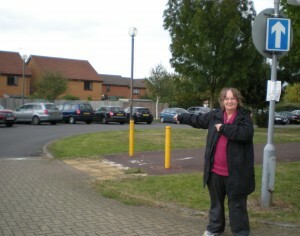 “Well Done Jenni” say cyclists and walkers along this very busy path. However, she continues to press for the other end of the Snail Trail to be lit. Jenni Ferrans writes:the first three of the vacant plots on the even numbered side of Queensbury Lane, Monkston Park are being advertised for sale for single self-build houses. Please contact us if you want more details. If there is enough interest, the remaining plots will follow soon. If not, they will be held until next year. The end plots have been deemed big enough to hold two houses, but we wait to see what buyers propose. 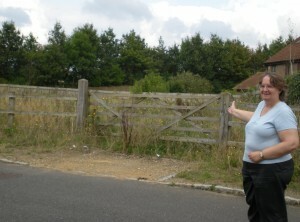 Once buyers have the land, they will put planning applications in, and residents will be able to comment at that stage. 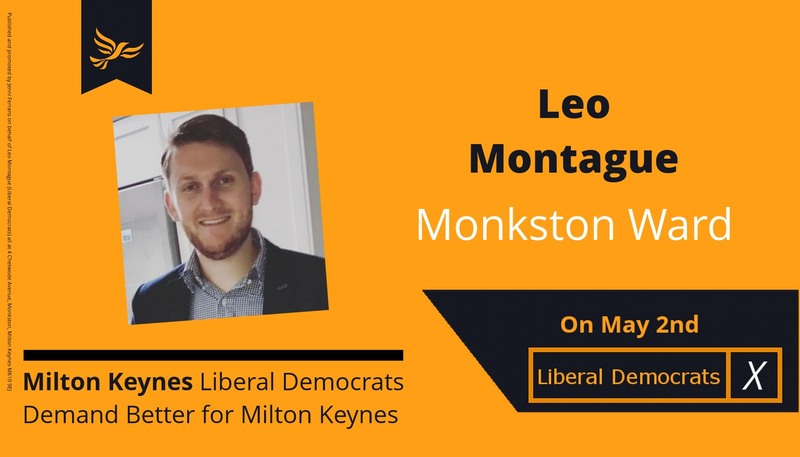 “Well done!”, said parents to the Lib Dems for getting the traffic chaos at Monkston Primary School sorted out. The Police will now be able to enforce the one-way flow. Cllr Vanessa McPake had the litter removed from the play area behind Heronshaw School, Walnut Tree. The Lib Dems are also trying to get your litter bins emptied more often in busy places. 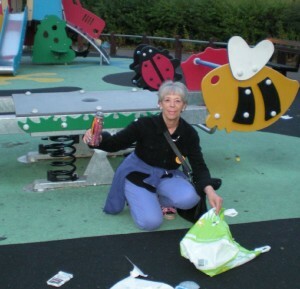 More litter has been removed from Ulverscroft play area in Monkston. Cllr Vanessa McPake checks the new bus timetables. 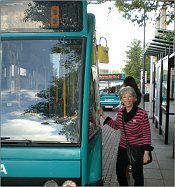 Bus user, Vanessa McPake, says “Watch Out” as the new bus timetable comes in on 27th April. 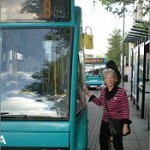 She is an active member of the MK Bus Users Group and has been checking out the changes for local residents. No 8 bus route has a revised timetable; you may have to change in CMK if going westwards. Sunday services end earlier and will now be run by Arriva. No 9 bus route – no change. Nos 11/12 bus routes – some route changes with no buses to the hospital.